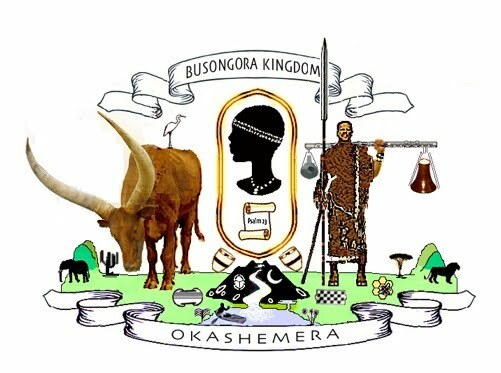 Under Article 13 (xv) of the Busongora Kingdom's Constitution, the Office of the Monarch of Busongora is required to facilitate or expedite services to the community, where such action is of assistance and does not prejudice or infringe the jurisdiction of local, institutional, national, regional or international authorities. To this end this Security Report is meant for review and for consideration by the President of Uganda, and by such other authorities as may be concerned with the plight of the Basongora and Banyabindi and other endangered communities in Kasese. I am privileged to be able to provide this report, and I do so with the hope that it may shed light on the current security crisis. It was compiled with the assistance of knowledgeable community elders. However, I note with regret that many meetings with state authorities may lack balanced information, because they exclude the cultural leaders of the Basongora and Banyabindi, whereas the Rwenzururu leader is frequently hosted. Meeting planners in Kasese district habitually exclude us from key meetings, despite repeated promises by the President’s Office to avail us audience. And yet, a constructive peace can only be secured with equal and fair treatment for all affected cultural communities. The routine exclusion of minority cultural leaders from state functions serves only to marginalise or trivialise our cultural institutions, and to encourage undue contempt and aggression by those who wish to benefit themselves at the expense of our minority communities. Nonetheless, we are extremely thankful for the security provided to myself and to the King of the Banyabindi - as well as to our communities and our community elders - by government security agencies, many of whose gallant officers have lost their lives in this crisis. • a time of intense difficulty, trouble, or danger : the current economic crisis | a family in crisis | a crisis of semiliteracy among high school graduates. • an ethnic or cultural community inhabiting parts of Central Africa, especially the Albertine arm of the Great Rift Valley and the foothills of the Rwenzori Range and surrounding regions, including what is now the Virunga and Queen Elizabeth National Parks, in the states of Congo and Uganda respectively. Also known as BaSongora, Bacwezi, BaHuma, the community formerly constituted the pre-colonial state called Busongora, and also known as the Chwezi Empire. In ancient times the community specialized in breeding and rearing cattle, as well as fishing, salt-mining, and trading in iron, ivory, copper, pottery, hides and wood products. • the language spoken by this community. [xii] the withdrawal of police posts, stations, detaches and patrols, in recent years, months and weeks, from areas where they had been deployed on the orders of the IGP Kale Kaihura, in 2012 and 2014, for the protection of vulnerable Basongora communities, and other minorities, who had been subjected to intimidation and attacks by Rwenzururu - including from such troubled places as Bigando, Muhokya, Katakyenga, Nsinungyi, Kayanja, Rukooki-Kiharra, etc. 1.1 The current Security Crisis is one of a series of ongoing land and cultural disputes between Bakonzo supporters of the Rwenzururu Cultural Institution, and the indigenous Basongora community. Busongora County is one of the two counties in Kasese. The other county is Bukonjo County. Many crimes that have been reported in Kasese since 2007 originate in forcible land occupations of land properties in Busongora County. A disproportionately large number of the victims of illegal land occupations have been members of the Basongora ethnic community, although many other victims belong to all of the other ethnic and cultural communities in the district. The crisis has also engulfed and victimised other cultural communities including the Banyabindi, the Bagabu, the Bakingwe, as well as resident communities from other parts of Uganda, including BaToro, BaKiga, BanyaRwanda, BanyaNkore, Nubi, etc. on account of their alleged voting habits that supposedly frustrate the Rwenzururu’s Veterans’ apparent need to expel all non-Bakonzo from Kasese. 1.2 Over the course of many years, the Rwenzururu leadership neglected - deliberately or unintentionally - to take reasonable steps in order to satisfy the social and neighbourly measures to secure the support of Basongora and cultural minorities in Kasese. These authorities and cultural leaders of the various minorities in Kasese feel that they should be formally invited or consulted during Rwenzururu’s policy decision-making processes - so as to avoid tensions, misunderstandings or apprehensions - especially given the recent history of violence, land-conflicts, and distrust between cultural communities in Kasese. Instead the Basongora and other non-Bakonzo in Kasese are being subjected to relentless acts of discrimination, intimidation and exclusion by Rwenzururu. 1.3 The Basongora leaders have pointed out repeatedly over the years that Obusinga bwa Rwenzururu has no representation of minorities in any of its ceremonial or administrative structures and that since its formal regularization of relations with the Uganda Government in 2009, the Obusinga has not done anything constructive for Basongora. On April 9, 2013 during the Security Summit called by the IGP Grace Turyagumanawe, between the Rwenzururu and the leaders of all the cultural minorities in Kasese, the question was put directly to the Rwenzururu cabinet - they were asked to say what if anything, the Obusinga bwa Rwenzururu has ever done for Basongora and other minorities to promote or protect their cultural, economic or social interest? The question was asked repeatedly, and it did not get any answer because there is hardly anything that has ever been done by Rwenzurur to acknowledge of assist in any way the cultural or economic aspirations of the Basongora. One of the Rwenzururu cabinet ministers, in answering the question, explained that there had been one Musongora gentleman who had served on the Obusinga cabinet but could not recall his names. 1.4 In contrast to the conduct of Rwenzururu, the Basongora leaders pointed out that they had in fact helped the Obusinga in many ways: the Basongora had actively promoted peace in the region and had been instrumental in efforts to regularize relations between the Rwenzururu and the State of Uganda - and between Bakonzo and other communities - in recent times, as well as in 1982 and earlier. The Basongora claimed that these efforts to assist in the promotion of the rights of Bakonzo were not being reciprocated, and that in fact the Rwenzururu lacked good-will policies and had failed to constructively engage with Basongora and other minority cultural communities. 1.5 Furthermore, it was pointed out to the Omusinga's cabinet - during a summit in April 2013 called to address the Kasenyi Crisis - that the Rwenzururu had expressly been hostile to Basongora and other minorities - so much so that in 2012 and preceding years, it had issued public proclamations on radio - as well as issued documents - dismissing the very existence of any community called Basongora, and encouraging the appropriation of lands and repudiating the rights of Basongora. Hostile actions against Basongora had been carried out publicly by Rwenzururu cabinet ministers and by the Omusinga personally - and these actions had included not only attempts to inflame the cultural and land conflicts in Kasese, but even involved deliberate attempts to physically harm Basongora leaders and to desecrate their cultural symbols - including the royal drums and flags. 1.6 When the police and UPDF came to the defence of endangered victims of Rwenzururu attacks, some of the Rwenzururu officials and supporters blamed the police and army for frustrating Rwenzururu’s ambitions and subsequently began targeting the Uganda security services personnel for attacks. The incident of July 5 2014 in which Rwenzururu supporters killed 12 Basongora at Bigando and 17 police and army across the three districts was the culmination of the longstanding Rwenzururu policy of inciting violence against Basongora and state security agencies. 2.1 The media and the central authorities in Uganda, as well as CBOs, international NGOS and UN agencies [especially UNESCO] have over the years repeatedly expressed dismay and concern over the continuing and unjust encroachment on Basongora traditional territory by non-natives - especially Bakonzo in Busongora - and the fact that the Basongora people have continued to see their lands and rights and institutions disappear without having been consulted or compensated. 2.2 The situation escalated in recent years as the Basongora were joined by as members of the public from Kasese and elsewhere - including claimants to the throne of Bukonzo who are opposed to the conduct of Rwenzururu, as well as Bamba, Batoro, and BaTuku community leaders - all together started calling for limits on the policy of ethnic cleansing and encroachment by Rwenzururu, on the traditional Basongora lands. 2.3 The tensions between native Basongora and Rwenzururu-Bakonzo settlers in Busongora have been high in recent years, mainly over competing uses of land, as well as the confusion over which communities are entitled to the benefits of cultural recognition and autonomy. Such tensions contributed to the current security crisis. 3.1 The Basongora are one of the oldest indigenous communities in the western arm of the Great Rift Valley and the foot-hills of mount Rwenzori [in Rusongora it was traditionally known as “Rwenjura”. The mountain acquired the name Rwenzori because of a spelling error in the journal of HM Stanley written in 1888, and reprinted in the British media in subsequent years]. The Basongora are indigenous to Kasese district and the surrounding region in Uganda and Congo, and have been the effective occupants of the region for thousands of years, and despite repeated expulsions [1906, 1910, 1931, 1954, 1991, 2005] - as when their homelands were turned into national parks by the British and Belgian colonial governments - and despite massive reduction of their population and herds, the Basongora have persisted in the face of incredible and continuing adversity. Proofs of the longevity and ancient presence still exist despite attempts to erase their history. For example, there are hundreds of ancient Basongora place names currently in use, including the name “Kasese”. Kasese town was the site of the palace of the ancient king Kasheshe of Busongora. 3.2 Other notable Songora place names include include Kaihura parish near Kyenjojo in what is now Toro named after king Kaihura; Kyanzi Hill in Bwera; the famous bridge at Katunguru is actually named after queen Kantunguru of Busongora; the site of the palace of Empress Kogyere II at Rukoki has a school on it named after the queen - near where the current district administration headquarters are located in Kasese. Rweihiingo, Nyakatonzi, Busunga, Kiharra, Kinyampoma, Bwizibwera, Rwimi, etc., are all ancient Rusongora place-names in Kasese district. 3.3 Studies of East Africa by scholars, administrators and missionaries - including John Roscoe in the 1880s, Harry Johnston in the early 1900s, Ephraim Kamuhangire, Jan Kuhanen, and by many others over the course of a century have provided a steady record of the history and culture of the Basongora. In their research on the vegetation of QENP in the 1960s Henry Osmaston and Lock of Cambridge showed, for example, that the open savannah and short shrubs were the product of a centuries-long fire-management system by Basongora to curtail overgrowth. The study also noted the presence of so many candelabra euphorbia trees [enkukuru] as having been deliberately planted by Basongora to protect their cattle against raids. They showed that some of the planted euphorbia trees were at least 500 years old. 3.4 The Basongora have a collective memory of their ancestry in the region going back hundreds of years. The list of past Basongora kings and queens number over 45, and the earliest rulers and clans associated with Basongora go back thousands of years. As far as the historical record is concerned, the Basongora are the indigenous people of Kasese district, contrary to claims that they are immigrants. Cattle-herding and its associated artefacts constitute a defining feature of Songora culture. The archaeological record alone shows that cattle-herding in the region dates back at least to the beginning of the Holocene Era over 10,000 years ago, and many artefacts similar to those used by Basongora today, and unearthed in both Virunga and Queen Elizabeth, as well as other places in area, are proving to be thousands of years old. Moreover, the Basongora were citizens of the empires and dynasties that preceded the founding of the autonomous Busongora Kingdom nearly 1000 years ago, and several of the rulers of those earlier dynasties were Basongora. 3.5 Basongora and other ethnic communities have lived together in peace as neighbours for many centuries. The pattern of constructive ethnic and social relations was disrupted by the chaos and suffering of the Slave Era and the Colonial Occupation. The consequences for Basongora have been dire. Currently, Basongora are recognized world-wide as one of the most marginalized and endangered cultural communities in the world. Several reports by the UN and the African Union have expressed concern about the plight of the Basongora who are facing extinction, and whose language is at risk of disappearing. Basongora are ranked right alongside the Himba of Angola, the San of Namibia, and Maasai, the El Molo, the Ik, and a few others, as the most endangered of Africa’s cultural communities. 3.6 Basongora remain underrepresented in the local and central government structures that are so vital for the wellbeing of both individuals and communities. Basongora continue to encounter indifference, and sometimes hostility, from some of the district level leadership, who should be impartial in the provision of services. 3.7 In recent decades many persons have died as a result of the encroachments and infringments on Basongora community rights. The crimes of landgrabbers and insensitive cultural and political leaders are not the random acts of a few unruly persons. They are the result of plans to permanently disfranchise, subjugate and remove the aboriginal Songora population from Busongora, and involves multiple crises and incidents such as the Muhokya Attacks in July 2012 by the Rwenzururu Veterans, and the Kasenyi Crisis of April 2013 caused by Iremangoma’s forcible entry into Kasenyi Landing Site on Lake George - an area considered sacred to Basongora. 3.8 The crimes, abuses, neglect and other setbacks that the Songora community has suffered in recent years, in addition to historical injustices committed against the community since colonial times - have left Basongora and other minority communities in Kasese District with a critical need for security, for resources, and for improved organizational capacity, as well as the need for the services of knowledgeable and impartial mediators in the search for peace and for constructive relations between communities. 3.9 Over the course of 10 decades the Basongora have repeatedly resisted encroachment and have consistently registered alarm in every available forum, over the illegal appropriation of their lands by the colonial regimes and by neighbouring communities. Basongora claims over their lands that now constitute the QENP and Virunga, and over the sacred burial grounds in-and-around the region known as Bunyampaka. 3.10 In recent years Kasese District has experienced an exceptionally vicious wave of organized crime. The crime is tied to a policy of cultural genocide in the Great Lakes Region of Africa, that initially targeted the Tutsi community in Rwanda, but later spread to include Basongora in the Congo and in Uganda's Kasese district. Although the victims are from all areas of the district, most of the major incidents of organized crime involve destruction of cattle, houses, water facilities, as well as denial of public services and forcible occupation of registered and titled land properties in Busongora County. 3.11 In 1991 many ethnic Basongora resident in the eastern region of Congo were subjected to a violent genocide prompting many to start returning to their ancestral lands in Uganda. A great number of Basongora returned in 2007, and having no place else to settle, they forcibly occupied the Queen Elizabeth Park from where their grand parents had been evicted decades prior. After clashing with authorities, the returnees were resettled in various areas in Kasese and given land in Busongora County as compensation for loss of their ancestral lands in the Congo and in Uganda. It is important to note that many Basongora have always lived in Uganda and have never lived in the Congo. 3.12 Beginning in 2005 many organized attacks have been carried out against Basongora or their tenants. Many of the perpetrators of the current attacks and illegal occupations are Bakonzo who appear to believe that illegal land occupation will result in government allocating them land as was the case for the Basongora. Moreover, it appears that many of the attackers involved in illegal farm occupations erroneously believe that Basongora are foreigners, and that the entire Kasese as well as parts of surrounding districts belong to the Rwenzururu Movement and to the Bakonzo exclusively. 3.13 However, as the conflict has continued to escalate, many non-Basongora - including Bakonzo, Banyarwanda, Bakiga and Batoro among others - have also been targeted by the attackers organizing the illegal land occupations. Despite attempts by the courts to resolve the matter, the land occupations and the violence surrounding them have continued to escalate as tactics and strategies have changed to include all cattle owners regardless of their ethnic origins. 3.14 The general strategy employed by attackers currently includes the hiring of jobless youth and impoverished elders and paying them to attack and occupy farms. In some cases local government councilors and other officials are also paid to help organize the attacks and to encourage illegal occupations. Court orders and judgments against such occupations are frequently disregarded, unless the police are available to enforce them. When the police leave the occupations resume. 3.15 The land occupations have spawned subsidiary violence, including theft and the deliberate killing of cattle belonging to Basongora and other cattle owners without regard for their ethnicity, as well as attacking police and army posts in order to acquire ballistic weapons. The most common crimes that occur during illegal occupations include: cutting of trees for charcoal or trade; arson and burning of property; blocking of access to water for cattle and people; intimidation and death threats and violent assault against renters and owners, sometimes causing death; and, the fraudulent selling of land plots. In many cases the illegal occupiers will sell the plots quickly to unsuspecting buyers, or they will forcibly collect rent from the bona fide renters and owners. In most cases the groups of attackers who are used to forcibly occupy farms are organized, coached, armed and fed by a few key persons. 3.16 Some of the organisers of the attacks and land occupations are local Bakonzo politicians. Basongora elders have expressed concerns especially about the statements made by Nzoghu William [MP for Busongora North], Gideon Mujungu [failed NRM parliamentary candidate and subsequently an independent], Former MP Mbahimba [Kasese Municipality], but most especially Winnie Bihande [Kasese Woman MP], that appear to justify or rationalize the land occupations or even the attacks in some cases. Mobilizers and suspected organisers of attacks over the course of past years and months also include Sanywana Wilson [recently arrested on suspicion of stocking grenades and machetes], Kalingusa Clovice, Dogo Muhindo, Kabugho Mary [teacher at Mubuku PS], Musoke Peter, Mubughe Sedrack, Kamalha [Boda Boda operator at Mubuku stage], Masereka Edson, Asasira [teacher at Moslem PS], Bahati [Witch-doctor], Kizza Edson, Mukunde Albashiru [arrested and released by police - was involved in planning attack on Mobuku Police post to get guns [now shifted to Kikonjo in Kasese town]. Additional names of at large organizers of land occupations include Robert Bwambale [LC 1 Chair for Kiharra], Alex Katikiro [Kasese Land Board], Simon Baluku [defeated LC3 Nyamwamba Division], Uriah Baluku [chair of district land board that encouraged occupations especially in the case of Nkoko land belonging to Basongora], Sere Muhindo [involved in multiple attempts to grab Rukoki Prison land]. The list is not exhaustive, and certainly hundreds of persons are involved - most especially those associated with the organization known as the Rwenzururu Veterans, and the group known as “Kirumira Mutima”, as well as the Rwenzururu Royal Guards and the Rwenzururu Youth Group known as “Esyomango”. 3.17 Despite the ownership of land titles, and numerous court rulings, certain persons still refuse to acknowledge the law and insist on occupying land by force – in many cases with help or direction of Bakonzo Local Council chairs and councillors. For example, a letter was circulated in 2005 by an LC II Chair advising that Basongora should be denied new land titles and that existing land titles held by non-Bakonzo should be violated. Later an LC III Chair in Muhokya disobeyed legal judgments and court instruction requiring him to call a public meeting and inform a group of illegal occupants to vacate farms belonging to Basongora, prompting police to forcibly evict the illegal occupiers. However after the police left, the illegal occupiers returned, killed many cows, and have since permanently camped in the same land. The occupiers have stayed there since and have started to illegally build houses on the same land. There have been instances where ranking officials of local government have personally been involved encouraging illegal land occupations against the Basongora. 3.18 There is a deliberate policy of raiding for, and killing of cattle belonging to Basongora. This activity has come to complement the practice of illegal poaching and hunting in the parks as a major source of meat for persons resident in the foothills of the Rwenzori. The aim of the cattle killings is to intimidate or expel Basongora, and to destroy the economic security of the cattle herders. 3.19 Witnesses and victims of the illegal occupations and violent attacks usually avoid testifying in court for fear of unappreciative and hostile courts, as well as the fear of isolation and persecution, and also on account of lack of protection and intimidation by local authorities. Moreover, when attacks happen many Basongora victims are unable to get treatment at public hospitals, and many suffer neglect or deliberate denial of blood and medication. 3.20 Infringement of Basongora language rights remains a major concern in public places including government offices, churches and schools. A few years ago, the Kasese district council passed a resolution to enforce the mandatory use of Lukonzo [the language of the Bakonzo] in primary and elementary school classes from P.1 to P.4, as well as in the churches. Ethnic discrimination at work places and Job sites favors Bakonzo and others over Basongora. Intimidation of Basongora school children on account of their ethnicity has become common at many schools in Kasese. 3.21 Job discrimination in local government has in effect excluded the Basongora from all levels of public administration in Kasese. The lack of representation of Basongora in local councils cannot be attributed solely to their numbers as a minority group. Discrimination appears to be a deliberate, but unwritten policy organized, facilitated and implemented by some local government officials and owners of institutions that are supposed to provide services to the public. There have been many reported incidences of unfair denial of school and job placements directed against members of the Basongora community. 3.22 Among the consequences of the ethnic conflict has been the fear or inability of local government in Kasese district to assist legitimate owners of land titles. Basongora can no-longer acquire land titles on account of an illegal policy enforced by LC chairs. Many assaults and robberies that are reported in Kasese have their genesis in the illegal land occupations and in the tense relations between ethnic communities. 4.1 The hiring of unemployed youths and jobless Rwenzururu veterans and arming them with weapons, and then supplying them with food and alcohol and getting them to occupy large farms, is a common Modus Operandi of the illegal and forcible land occupation system, as well as in attacks against police and army personnel. Most of the activities of violence generally revolve around the plantation growing of cash crops [cotton and maize], during the start of the planting seasons. However, lately the violence also revolves around election season. 4.2 The pattern of land occupations usually begins with the appearance at a targeted farm, of a group consisting usually of between 20 and 100 persons, armed with machetes and spears. A section of these people will then begin to forcibly dig the farm with hoes - or rented tractors - under the protection of the rest of the attackers. A group of 50 people with hoes can dig an acre of land in a few minutes. They will usually sow or plant cotton or maize – cash crops suited to the lowlands traditionally owned by Basongora cattle herders. During the illegal occupation, they will erect little houses in a large perimeter and stay in them in order to prevent the land owners and bona fide renters from having access to the gardens. Usually they will intimidate, expel and sometimes assault or kill the renters or other persons they find on the farms. 4.3 In past years attacks also would begin by the attackers dumping a dead body on the farm belonging to Basongora, and then after appearing to suddenly discover the body would organise a massive protest during which they would assault the Basongora and the police who arrived to investigate the problem. 4.4 Court proceedings and police actions would usually follow, however depending on the dispositions and attitudes of the courts and police, the illegal occupation may persist, or the attackers will abandon the farm and wait until the police have left. 4.5 It is important to note that illegal land occupations, insensitive and dismissive language and incitements of violence, and the violent attacks on innocent people and law-enforcement personnel, have all impoverished, injured and killed many. The economy of Kasese - and of Uganda in general - continues to suffer because of the insecurity created by organized land and ethnic crimes, and the impunity of perpetrators. While the intended target of attacks was initially Basongora, Banyabindi and other cultural minorities, increasingly the victims include many Bakonzo farmers who are renters and tenants of the farms that are under attack. Attacks on Bakonzo and against the police and army, are aimed to discourage cooperation with Basongora. 5.1 Ibuga County, which includes the sub-counties of Kayanja and Ruhita, has been the site of major incidents of ethnic violence. Since the attacks began in Ibuga in 2007 it is estimated over 2000 cows have been killed criminally, at least 40 houses have burnt, and over 15 cases have been reported of persons injured severely or maimed permanently. In addition, several persons have been killed – including the son of Topha Mande [a Musongora] - and one Richard Mulindwa [also a Musongora]. 5.2 Kabukyero experienced violent confrontations beginning in 2007. One of the victims James Ngabu had his teeth bashed in by attackers. Kabukyero is a major settlement for Basongora. It was subjected to attacks by illegal land occupation by Konzo cultivators and required massive police intervention over a prolonged period in order to dislodge them. Police evicted hundreds of illegal occupiers and for a while it was peaceful, until September 2012 when attackers killed several dozen cows, and stole and maimed others. 5.3 Rukooki-Kihara suffered violent attacks and illegal occupations targeting the land estates owned by the Bazira family, the Birego family, Pimako Kasereka, and the Baritarara family. At least 16 persons were seriously injured or permanently maimed and disabled during attacks on the Bazira Estate in Rukooki-Kihara in 2012. One person was killed in September 2012, and another died a few weeks after an attack as a result machete injuries. Thousands of trees that had been planted and cultivated at great cost have been illegally cut and turned into charcoal. At least 5 cows have been stolen and at least 4 others cut or killed by organizers of the illegal land-grabbing. In 2013 seven additional cows belonging to the Rutagarama family were cut and killed during an attack about midday by attackers from Kiharra Trading Center that were led by Gideon Mujungu, Sanywana Wilson, and Robert Bwambale. In 2013 alone, on the Bazira Estate hundreds of acres of crops were maliciously destroyed by attackers led my a member of the Rwenzururu Veterans who was killed at Muhokya where he led an attack against police on 27 July 2013. Other leaders of the attacks on the Bazira Estate included the late Bakoko [an infamous witch-doctor], Robert Bwambale [LC I Chair at Kiharra Town Centre], Gideon Mujungu [failed parliamentary candiate], Sanywana Wilson, David Muhasa [Commander of Guards for Rwenzururu leader Iremangoma], and the late Mumbere Lodi [shot and killed when he attacked Police during an incident at the Bazira Estate in 2014]. 5.4 In Muhokya the illegal occupations began in 1991. In recent days Muhokya township and the farmland in the area above the town, known as the Kisongora, has experienced major violent attacks involving assaults against people and cattle. Forceful illegal occupations in Muhokya continue in defiance of court judgments. Access to water for cattle has been blocked, and at least 44 cattle and over 100 goats belonging to Basongora have been killed in 2011 and 2012. In Kisongora, taps, water pumps, and cattle drinking troughs, have been destroyed by attackers. Residents and cattle now have difficulty trying to find drinking water. 5.5 The attacks against the Basongora in Muhokya included several attempts to harm the Busongora cultural leader, the king Rwigi IV Ivan Bwebale Rutakirwa. By March 2013 several cases had been filed at police that alleged the Obusinga - and the Omusinga of Rwenzururu personally - had been involved in the decisions to raid the Muhokya residence of King Rwigi IV of Busongora on 11 July, 2012. That was followed by an attempted flag-raising incident on 22 July at Muhokya Police post, by the Rwenzururu veterans, that was thwarted by police. A major incident related to the Busongora cultural institution involved a vicious but botched assault by at least 30 armed members of the Rwenzururu Veterans group against Muhokya Police Post on July 27, 2012 - barely a week after the botched flag-raising by Rwenzururu. The residence of the king is protected by the Muhokya police. During the attack one policeman was killed, 2 police and 1 civilian were severely injured, and 3 of the Rwenzururu attackers were killed. After the attack on the police at Muhokya, the IGP Kale Kaihura ordered the deployment of more police in the Kisongora hamlet of Muhokya, and turned the police post at Muhokya into a full-fledged police station. 5.6 Nyakatonzi area is a major settlement for Basongora and includes Rwehingo, the site of major attacks involving forcible occupations of farms owned by Basongora, as well as interventions by both the police and the army. The most recent incidents at Rwehingo took place in July 2012. 5.7 Other illegal land occupations have taken place at Kyondo and Mobuku, Kirembe, and also in the Kidoodo and Katadoba, where thousands of occupiers have sold plots illegally and constructed permanent housing. It is important to note that in some cases the victims of the illegal occupations have been large corporations – such as Kilembe Mines. Government officials with lands have also been victimized. 5.8 The situation in Rwamushakara and in other places is becoming increasing volatile on account of concerns over the deliberate infringement of the water, forestry and fishing rights of Basongora. 5.9 On July 1, 2005, a bloody conflict between the cattle keepers and the cultivators in Kayanja II and Bigando villages, Kichwamba sub-counties, left about 20 head of cattle and a dog killed. Residents in the area clashed over ownership and boundaries of some of the 2,000 acres of land which the Government recently degazetted from Hima Army Farm. On July 5, 2014, the Rwenzururu carried out what is to date the largest attack on both civilians and military and police in recent decades. Beginning on the evening of 4 July 2014, the Rwenzururu secretly killed an army officer presumably in order to get guns, and then carried out their main attacks in broad daylight the following day beginning at noon. The attackers carried out their attacks simultaneously in three districts - Ntoroko, Bundibugyo and Kasese. A group of Rwenzururu went to Bigando in Ibuga [Busongora County] and killed 11 BaSongora belonging to two families. They also raided a bank and were repulsed. The attackers also managed to kill 5 UPDF troopers and 12 Uganda Police officers in the space of one hour. The attacked UPDF unit at Kinyamwirima barracks in Bundibugyo fired back when they realized that they were being attacked by a lethal and organised force. They shot down about 50 of the attackers. About 20 other Rwenzururu attackers were killed by an irate crowd of Bamba bystanders in Bundibugyo. Many of the attackers in Bundibugyo had been ferried in from Kasese and were buried in mass graves on account of being unidentifiable by the people in Bundibugyo. In the July 5, 2014 attacks that killed BaSongora in Bigando, at least one of the early suspects arrested - along with key Rwenzururu leaders - for allegedly mobilizing the killings, is a magistrate. It is a fact that BaSongora fear the Kasese courts, and tales of mistreatment by court officials - from judges down to clerks - are rather widespread in the Songora community. 5.10 In 2013 as agitation among minorities in Kasese escalated against Rwenzururu decisions to conduct events that appeared to be deliberately designed to insult the Basongora - by their insensitive disregard for the sanctity of cultural sites and minority communal properties - the police informed the Basongora leaders to press members of the Basongora community to remain calm and stay away from any actions that would lead to violence or injury. The Basongora and other minority cultural groups - at a forum held at Kikorongo a few days before the Kasenyi Incident in April 2013 - agreed not to take any actions that would escalate tensions or make harder the security work the police were already doing. The Rwenzururu had already been compelled to put-off the event when it had been scheduled to take place a month earlier. However, the Obusinga released information that they would try again to go to forcibly go to Kasenyi again the following month on April 14, 2013. Kasenyi Landing Site on Lake George [Lake Matsyoro in Rusongora] is the site of the graves of several ancient kings, and also of recent victims of Rwenzururu violence in the 1960s and 1970s. The evening before the planned event, tensions were extremely high in Kasese, people were scared and expecting violence. The Police deployed troops in support of the district authorities. Led by Region Police Commander Rwenzori Region, and the District Police Commander, the police took over several potentially troublesome locations and strategically significant points across Kasese district. The police barricaded the Kikorongo Junction, the final turn-off the main highway leading to Kasenyi. Despite high tensions between police and Rwenzururu supporters, no shots were fired. The Omusinga of Rwenzururu when he arrived on the scene at Kasenyi refused to obey police instructions. The aggressive and insensitive remarks of the Omusinga at Kasenyi and prior were disappointing to many Basongora leaders. Despite attempts by the Basongora who were present at the event at Kasenyi to appease and welcome the Rwenzururu leader by being constructive and welcoming, the Omusinga managed to insult the Busongora cultural institution - refering to the Busongora kingdom's flag as "ekitambala" - the rug or cloth - and was dismissive of the Basongora's concerns altogether. 5.11 In 2015 the Rwenzururu raised their flags at the Katwe Sub-County HQs at Kikorongo, and at other local and municipal government administration headquarters across Kasese District, and refused to lower the flags despite repeated pleas, resolutions and orders by councillors and by police and by members of parliament and cabinet. This act of Rwenzururu defiance caused consternation among councillors at Katwe, who subsequently refused to convene formally for government business while the unauthorized flag was flying above their offices and yard. Only the Uganda flag is allowed to fly over official buildings of the Uganda Government, and yet the Rwenzururu flags remained for many weeks, apparently guarded by armed and uniformed Rwenzururu fighters. 5.12 On election day [18 Feb 2016] a group of Bakonzo [supporters of MP Nzoghu William] tried to disrupt balloting at Nyakakyindo - a predominantly Songora area near Hima - and were engaged in altercations that resulted in their being rough-up and caned during the altercation before they ran away. After the disruptive group was expelled, the area MP Nzoghu arrived at the scene and threatened the Basongora by stating that he wanted vengeance for the canes and that at least 8 [eight] people of Nyakakyindo [Basongora] had to die for the crime of having caned his supporters. The Hima Town Council LC3 Chairperson Hon. Katura Musana was threatened by Nzoghu and other radicals, and now lives in hiding. 5.13 Attacks against police by Rwenzururu supporters erupted across Kasese District on election day - 18 Feb 2016 - and have remained the predominant element of the insecurity in Kasese up to this time. As of April 5, 2016, dozens of civilians have been killed across Bundibugyo and Kasese districts. Several Royal Guards of the Rwenzururu Cultural Institutions have been killed or injured as a result of their attacks on police. Several Uganda Police personnel have been killed or injured during this latest crisis. At least 2 members of the Uganda People’s Defence Force were killed on Sunday 3 April 2016 by suspected Rwenzururu supporters and Royal Guards. 6.1 Over the course of the last few years the ability of the attackers to occupy land forcibly has been degraded by police enforcing court orders and the detention or imprisonment of key organizers of the illegal occupations. Many of the occupations have organizers and backers who are known to the police and public. Even though some of the organizers continue to operate with impunity, some of them have been prosecuted and imprisoned. 6.2 Although the illegal occupations have aggravated ethnic conflict, they have also prompted members of the Basongora community and other communities to publicly protest the current conditions to which they are subjected and to mobilise resources and media outreach in order to secure their own protection. These communities are demanding fair re-districting, as opposed to the unbalanced re-districting models favored by the Konzo-dominated local councils. Oppressed Basongora and other cultural minorities have also been compelled by crises to establish powerful cultural institutions that can counter the power of unresponsive and hostile local officials who condone or show indifference in the face of land occupations carried out largely by unemployed Konzo youths and impoverished seniors. 6.3 There have been many efforts at conflict resolution in the past, carried out by international and local NGOs including the UN, DANIDA, NAYODE, CARE, KRC, Shalom Institute, and all aimed at resolving the growing ethnic conflict in Kasese. 6.4 Government officials, especially the most recent Resident District Commissioners in Kasese - notably Mr. Isingoma Wilson, Lt. Milton Odongo and Maj. James Mwesigye - have been instrumental in creating whatever progress and safety that Basongora have now. The efforts of the former RDC Odongo Milton were helpful especially in providing security for the cultural leaders and isolated communities of the Basongora, Banyabindi, Bakingwe and Bagabu. 6.5 There have also been efforts by the police to mediate land disputes that include radio announcements and public meetings arranged between affected parties, as well as public education about the rights of land title holders, and recourse available to genuine landless peasants in need of help. The Inspector General of Police Kale Kaihura and also the Deputy IGP Grace Turyagumanawe, and the recent Regional Police Commanders including Katonyerera, Bob Kagarura, and the current RPC Deo Obura, have all paid a great deal of attention and have been present to mediate conflict between Rwenzururu and the Basongora and other minority communities. Since 2011 at least 7 [seven] District Police Commanders have rotated through Kasese district and have all been subjected to the extreme rigours and stresses of serving in Uganda’s most conflicted area - most have done commendable work to try and maintain peace and order in the district. The most notable service was rendered by DPCs Kafero, Jonathan Baroza, and Michael Musani. [i] equal and fair treatment for all cultural institutions, so that they have an equal voice and are not treated preferentially. If the president of government dignitaries are visiting Rwenzori Rgeion, they tend to meet only with the leaders of Rwenzururu and Bwamba, and appear to ignore the leaders of other cultural institutions and communities in the region. [ii] establishment of permanent police posts and police stations to serve unprotected areas in Busongora County. The police that were deployed in many areas across Busongora have been removed since the police came under attack in the weeks following the elections of February 2016 and earlier. Moreover, many cultural communities and cultural leaders are now without proper security despite orders of police commanders to provide police guards. Many areas where the crime originates such as Kiharra Town Centre and other places in the mountains remain without a police or army presence, and so attackers find it easy to mobilise attacks without fear of authorities. Basongora dominated areas such as Bigando, Ibuga, Katakyenga, Nsinungyi and Ruhita are all vulnerable to Rwenzururu attacks and yet the police have been removed. [iii] establishment of an independent lands and treaties tribunal to oversee negotiations among national, district and cultural institutions on land issues. [iiii] establishment of a government commission or ministry to assist public and private organizations in promoting better cultural relations, promoting equal partnerships for all cultural groups in government in projects, and promoting equal opportunities for Ugandans in all industries - especially the cultural industries - affecting their individual and collective lives. [v] establishment and support for the National Cultural Communities Assembly, as well as a Code of Conduct for Cultural Leaders. Both these initiatives have been endorsed by cultural institutions across Uganda. [vi] establishment of seats for members of indigenous and other marginalized ethnic minorities in each parliamentary electoral district similar to the "woman member" or "disabled" seat, in order to secure political representation and participation of Basongora and other minorities in Uganda at all levels of government. [vii] establishment a special ministry to oversee Busongora affairs similar to the ministries that have been created for the Karamoja region, Bunyoro, Luwero triangle, and Teso. [viii] establishment of a second or upper chamber in the Uganda Parliament to consist of representatives of the ethnic/cultural communities, in which all the constitutionally recognized communities have an equal number of representatives regardless of the size of the community. This would assure representation in parliament of many minority communities across Uganda. [viiii] retaining the current unicameral parliament but reforming the national and local council electoral systems by introducing a system of Proportional Representation that utilizes the whole state of Uganda as a single constituency, or creating multi-member constituencies, and using Open Lists or Partially-Open Lists with guaranteed ethnic minority representation and gender balance. [x] the inclusion of funds in the budgets of the district and local councils for researching, recording and preservation of historical sites and relics, to ensure the preservation of Busongora's cultural heritage. [xii] regularization of Busongora Cultural Institution’s relations with government agencies, and other cultural institutions in the Rwenzori region, as a means of empowering the minority communities to preserve endangered cultural heritage sites, preserve language and social skills, promote jobs in the environmental and tourism sector, and promote positive ethics and morals. [xiii] give the Uganda Police, UWA and NEMA, or perhaps a new national cultural security force, the powers and capacity to monitor, account for, prevent and prosecute cultural crimes such as the negligent or wilful destruction or desecration of cultural sites, artefacts, and books [biblioclasm]. [xiiii] create a national fund to support cultural research and to promote and pay for the maintenance and repair of cultural sites, monuments, and institutions such as museums, galleries and parks. [xv] build capacity at the grassroots level through the dissemination of information and dialogue with community groups, developing opportunities to redress rights violations including through traditional dispute resolution techniques. [xvi] reforming of the complaint process, by including pre-investigation mediation as a formal step in the complaint process, and mediation and reconciliation as an alternative to investigation and litigation where appropriate. [xvii] require that all district authorities must provide their services in the native languages of the indigenous communities of a given county or district, as well as the national language, and create the office of Commissioner of Languages to oversee its implementation. [xviii] provision and funding for training of leaders and staff in cultural institutions - for example at Kyankwanzi or at the universities - in order for them to develop improved management practices, and funding for greater sensitivity training and engagement by the cultural institutions with the public interest and with other cultural institutions. 8.1 Kasese district is one of the most dense wildlife regions in Africa, and consists of several large wildlife parks that cover most of the district, leaving a narrow strip of land for human habitation. The parks include Rwenjura Mountains National Park [Rwenzori Mountains National Park], Kabaleke Game Reserve [Kibale National Park], and Kogyere National Park [Queen Elizabeth National Park]. There has to be a means devised that can allow cattle keepers, farmers, and registered land title holders, as well as the Basongora to benefit from protecting the parks and enhancing tourism. The current state of criminality and the attendant insecurity is retarding development in the social, cultural and economic spheres. 8.2 The district requires more vigorous and proactive efforts by all levels of government in order to address the problems faced by the legitimate holders of land titles, and by members of all of the marginalized and minority ethnic communities. The courts need to be assertive and more robust in protecting endangered communities and legitimate land owners. 8.3 The courts in Kasese need more diverse and better staffing in order to address in a timely way the numerous land cases, and ethnic attacks against minority communities. The magistrates and lawyers and police need to be sensitized and better facilitated in order to resolve the land conflicts, and in order to provide more protection to the public and community leaders and to discourage illegal land occupations and discrimination against endangered ethnic communities. 8.4 The police remain the most important source of safety for the public and for victims targeted by organized crime in Kasese. Yet the police remain under-resourced and with inadequate facilitation in the pursuit of their duties in a region that is highly conflicted. Crime prevention and community policing require the concerted efforts of the public, community leaders, and government in order to bear constructive results. 8.5 There are many easily accessed mountain areas in the district that are major settlements that remain without any police or court services. An example is Kihara community, which is a major source of the attacks that have been carried out in Kasese. Since February 2012, at least 30 people have been severely injured by persons from Kihara wielding machetes and spears. When the police intervene to end attacks, the criminals escape to Kihara in the hills where there is no police presence. Crimes requiring police to go to Kihara remain uninvestigated, and have unfair outcomes for both victims and suspects. Criminals escaping from Kasese after committing crimes continue to use Kihara as a safe refuge. The police need to establish more police posts and stations at major access points to areas used as a refuge for cattle-killers, and illegal land-occupiers. It is therefore necessary to establish permanent police posts at Kihara, at Kisongora, at Ibuga, and at other under-serviced areas that are currently inaccessible to police. 8.6 Plans to redistrict must take into account the rights and legitimate concerns of the Basongora, and of other endangered cultural groups and ethnic minorities that have historically been resident in the region. All cultural communities in Kasese require the help and advice of responsible government institutions in order for them to constructively exercise their constitutional rights in peace. 8.8 As an additional means of protecting people in Busongora County, the Uganda parliament and central government needs to assist and formally engage equally ALL the cultural institutions, as a partner in the process of peace-building and establishment of responsible government. It is important to note that most residents of Kasese district are law-abiding citizens regardless of their ethnicity. Many people in Kasese feel unsafe because of the continuing insecurity and conflicts. 8.9 While the conflicts in Kasese are increasing perceived as ethnic, they are victimizing not only the Basongora and other legitimate land owners, but everyone else who is dependent on the economy of Kasese is also suffering as a consequence. Many leaders in the district, regardless of their ethnic relations, have expressed concern over the continuing illegal occupations and violence against innocent. All leaders need to condemn the actions of the attackers who are trying to politicize, to polarize, to tribalize, and to implicate entire cultural communities in what is really just organized crimes involving lawless land grabbers, killers and robbers, and the unstable and unaccountable Rwenzururu Cultural Institution. I’d like to note that many state security officials who have been posted to Kasese over the years have had to work under the most difficult conditions, where they are treated with hostility and suspicion by local officials and by frightened members of the public. They are all to be commended for their firm commitment to serving all communities equally. My special thanks go to Mr. Milton Odongo [former RDC Kasese], Kwanya Wilson [former RPC] and Mr. Michael Musani [former DPC Kasese] for their valiant efforts in maintaining peace and order during a difficult and confusing time, sometimes at great risk to their own security and careers.